In this patron review, Petite Opera's modernized #metoo version of Don Giovanni" gets a thumbs up. "Don Giovanni, in this version, is despicable and evil" and so, very applicable to current events. Set on a Hollywood film lot, with modern takes on the characters, this update shows how scary it is that times haven't changed since Mozart's day, yet the characters’ reactions are so relevant for today’s audiences. 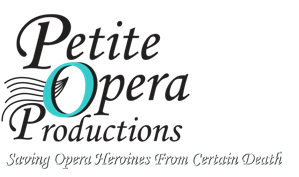 The opera opened Nov 3, and runs through November 18.